Trust Portland to be the kind of place with a cider named “Kinda Dry.” At least there aren’t any birds on the label. Most ciders I drink have an aroma you have to look for and pay attention to, but my glass of Kinda Dry is sitting on my desk and the smell is steadily wafting into my nose from a couple feet away. It smells bittersweet, and almost boozy — but not like alcohol, more like fragrant orchard apples beginning to sour. Living up to its name, Kinda Dry is not sweet, but retains just enough to keep it from giving ever entirely to bitterness and dryness. Portland Cider Company’s website says it was founded in part by British expats “with the mission of bringing handcrafted cider in the English tradition to the northwest,” which explains why Kinda Dry puts me in mind of some English ciders I’ve tried in the past. It’s hard to pin down notes of the flavor for me; various aspects chase each other around the corners of my mouth. It’s not predominantly bitter, nor sweet, nor dry, but it is all of those things in part; it’s light and finishes with a lingering woody aftertaste. Overall, I like it. It’s interesting. Kinda Dry is a clear gold, low fizz, and 6.8% ABV. Find some for yourself here. Posted in Cider. Tagged cider reviews, kinda dry, portland cider. My first experience with Snowdrift Cider was a glass of their Nebula Red at Capitol Cider a while back. It was, and I put this mildly, like pure manna from heaven descended into a glass. Nothing I’ve tried from Snowdrift since then has quite lived up, as is so often the case, but I still get excited when I see their labels. Deep golden in color, 7.8% ABV and mostly still, Cliffbreaks has a fresh, tangy scent underlaid with light bittersweetness. 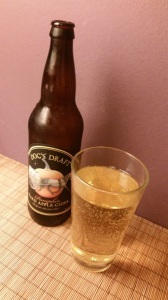 For some reason the aroma led me to expect a drier cider than it turned out to be. In addition, the bittersweet notes in the aroma don’t particularly translate into bitterness in the flavor. It has some tannins supporting a profile largely dominated by strong, mouth-puckering tartness and acidity, but is decidedly more on the sweet side than the dry. That’s not to say it’s over-sweet, or that I’m bothered by the lack of bitterness — the balance is quite good. “Bold & Assertive” is how the bottle sums up Cliffbreaks, and I’m not inclined to argue (though I’m not entirely on board with the more detailed notes they claim, like an “aromatic coconut finish”). Find yourself some Snowdrift here! They’re pretty small right now, so good luck if you’re not in Washington, but they do have an online shop, and I look forward to them expanding over the coming years. Posted in Cider. Tagged cider reviews, cliffbreaks blend, snowdrift cider. I found one more pumpkin cider! Okay, now that Halloween is over I know everyone’s on to peppermint everything, but I couldn’t resist sneaking in one more. Besides, the Pumpkindrome isn’t over so we’re not done with pumpkin season here at Bad Rider anyway. Doc’s Draft is a production of Warwick Valley Winery in NY, and the bottle copy mentions roasted pumpkin, cinnamon, allspice, ginger, and nutmeg. I do actually get some pumpkin in the aroma, along with the spices — mainly the cinnamon and ginger. A little mustiness comes out in the flavor, which is acidic and medium-dry. The pumpkin gets rather drowned out by the tartness, acidity and spices, but it’s still there in the background. It’s slightly fizzy and a clear light yellow, with a 6% ABV. As ciders go, it’s kind of strange, but neither terrible nor great. I wouldn’t pass up a really good cider in favor of this one, but if you’d like to give it a try it’s not the worst choice you could make when it comes to pumpkin cider. I know, I know, damned with faint praise, etc. It is, at least, more likely that East Coast folks will be able to find this one than many of the other ciders I’ve reviewed — in fact, Warwick Valley’s locator site only lists locations in New England. So give it a try! Posted in Cider. Tagged cider reviews, doc's draft, pumpkin cider. 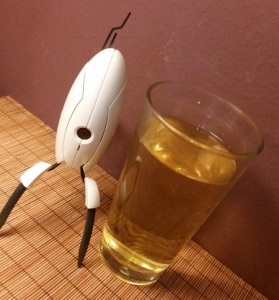 Bonus Portal turret since I don’t have a bottle or can to show off. 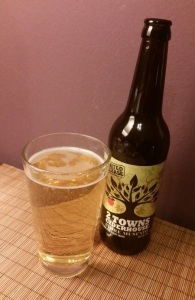 Boonville’s Bite Hard made a brief appearance in my Cider Summit roundup post, but now that it’s shown up on tap at my favorite liquor store’s growler station I’ve been able to write a proper full review of it. Bite Hard is a clear, light yellow, with a light aroma, fresh and tart. It lives up to its name in flavor with an immediate snap of tartness and acidity — this is definitely a cider with personality. It’s very dry, and a little bitterness comes forward after the initial bite, fading without much in the way of aftertaste. There’s some body to it, but overall I wouldn’t describe it as terribly complex — not that it’s bad, just that it’s straightforward. 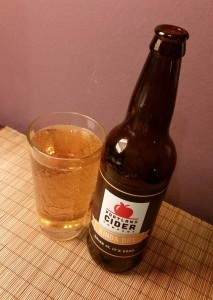 It’s a good palate-clearing cider, to have with something rich and heavy that will benefit from a contrast with Bite Hard’s crisp tartness and acidity instead of being overwhelmed by it. Boonville is located in California, and their locator page only lists places in CA and MI to find their cider, so good luck searching to those of us in the Pacific Northwest I guess. If you spot it, do give it a try! Posted in Cider. 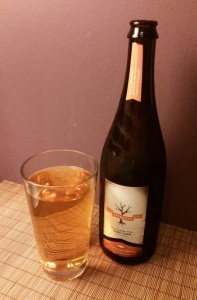 Tagged bite hard, boonville cider, cider reviews. Like Angry Orchard’s Strawman, D’s Baked Apple isn’t a seasonal offering, but thematically it fits well enough. D’s is a small outfit in eastern Washington, an area better known for its wines than its ciders — though, come to think of it, it’s also known for apple production, so I’m a little surprised I haven’t heard about a cidery out that way before now. In color, Baked Apple cider is cloudy and amber like real non-alcoholic cider (not the fake rebranded juice crap), and there’s a sort of cinnamon-y, roasted aroma to it. Honest to goodness like baked spiced apples. It’s quite sweet, but there’s also vanilla and a little bit of a pie crust sort of taste to it. To be honest, the first time I tried this cider I wasn’t wild about it, but coming back to it after a couple of months I appreciate it more for doing exactly what it claims to. I mean, it’s named “Baked Apple” and it really does taste like baked apples. If that sounds like something you’d be into, look for some in a store near you! No locator available but you can check out their website here. Posted in Cider. 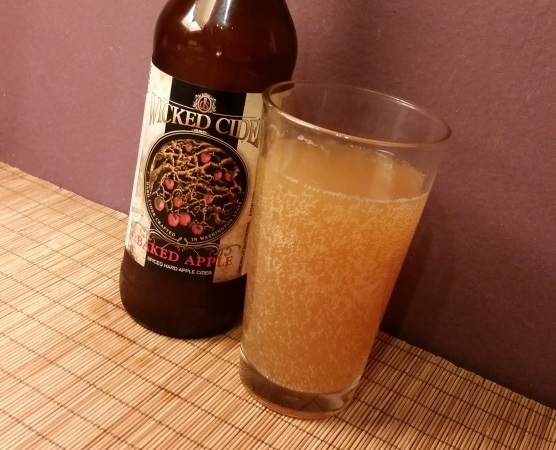 Tagged baked apple, cider reviews, d's wicked cider. Posted in Cider. 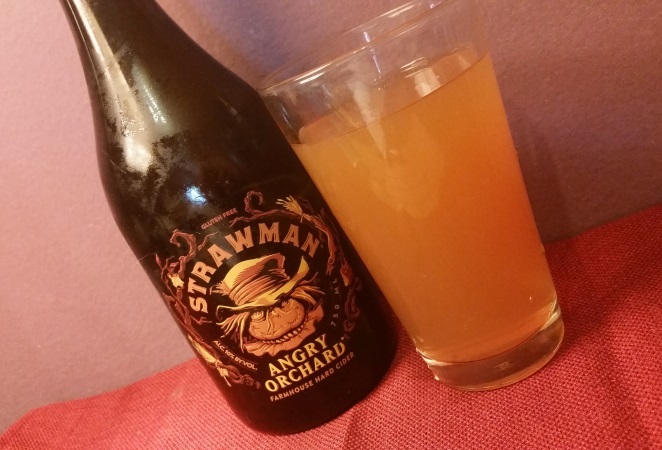 Tagged angry orchard, cider house collection, cider reviews, strawman.